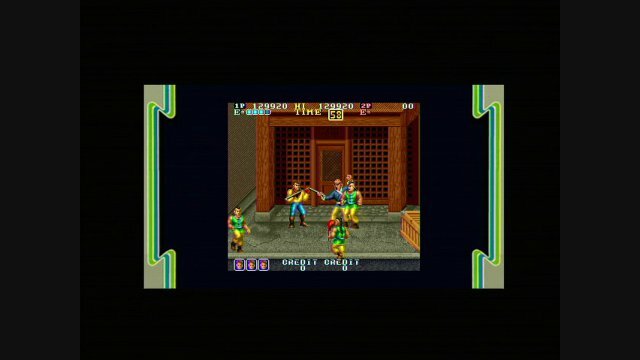 Lets start this way: Do you remember Double Dragon? 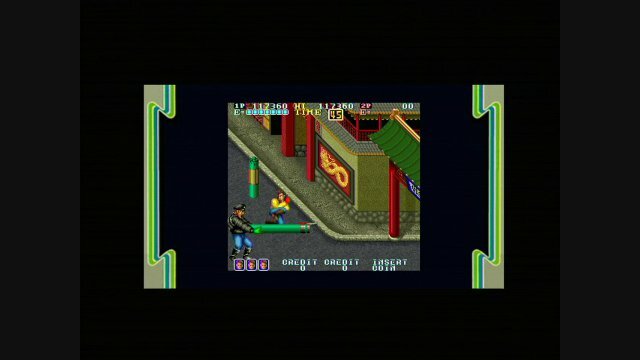 How about Streets of Rage? Final Fight? 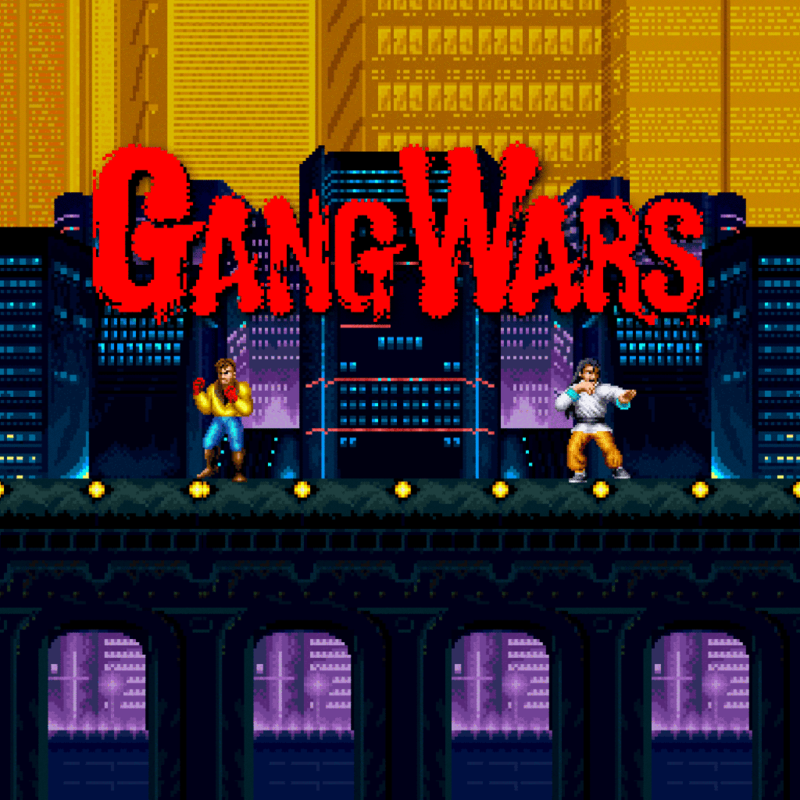 The reason I ask is because Gang Wars is a title I knew very little about when I first fired it up, but it's also one that brings back some great memories from the early days of the side-scrolling action game. The story is pretty simple, but just try to remember when this game made its debut- be happy they even made an attempt at a narrative. You're cast as Mike (there is a co-op option too though) and your gal is kidnapped by some nefarious badguys. Sound familiar? Things play out with some decent enough 'graphic novel' style cut scenes. This isn't Max Payne though, these are little more than talking heads; they're still kind of neat though. For some reason, the main bad guy (who wears a hat and is mysteriously hairless) reminded me of Christopher Walken. I have no idea why he did, but he did- and lemme tell you, it really added a lot to the cut scenes to imagine him talking...in that... wayyyyy. The 'in game' action needs no such imagination-powered help however. True it's all left to right, bare-knuckle action, but it's pretty varied with a lot of different enemies and weapons. It just has a plain old cool vibe to it. 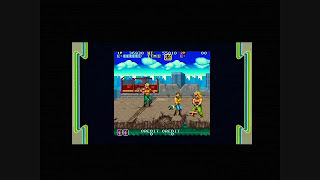 The controls couldn't be simpler- 'O' punches, 'X' kicks, box jumps, and triangle drops in virtual quarters (of which you have an infinite supply). You can also use either the analog nub or the pad to move around and I found they both worked well enough. Also a staple in games like this, enemies will drop weapons from time to time and they have varying levels of usefulness. Some of them just take way too long to wind up, leaving you open to assault, but if you ever get the chance to grab a firearm- take it. As long as you don't let a baddie get too close, you'll be unstoppable as long as you have an assault rifle. Most of the game is spent sans artillery though. It's a good thing then that the bare-knuckle brawling is pretty fun. You'll see a few different animations as you fight and when you beat on a guy long enough, you'll see him get dazed. At this point, you can give him a devastating (?) hip-toss to finish him off... or just wail on him some more and watch him drop with a small burst of blood. Simple, but it looks cool. 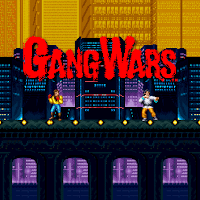 And speaking of looks, Gang Wars is epic nostalgia at its best. The character sprites are cartoony and ever so slightly comical while the 'bosses' are gigantic men who often have some kind of mild gimmick (a weapon or something) to use against you. Levels look pretty sharp too. 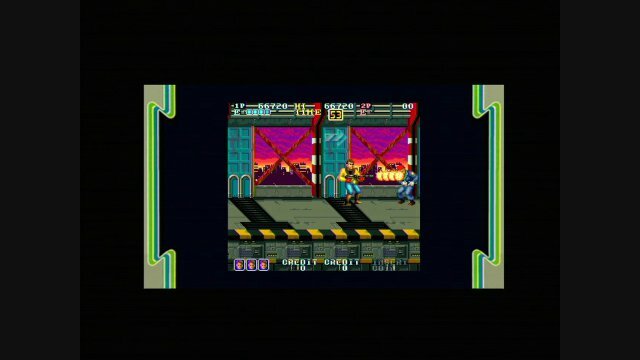 The stages aren't all that different from one another (except for the last few which actually put a neat 'challenge room' twist on things), but they all look appropriately 'late 80s' and that's cool. Dark and dingy with an air of depression- a dystopian look that fits well with the whole 'gang war' theme. The music is typically forgettable, wouldn't expect much more from a game of this vintage, but there is one stand out. It's not a music track per say, but a sound effect. Basically, bad guys will laugh at you with an amazingly aggravating guffaw when they knock you down. Not beat you, just knock you down. And yes, that means you'll be hearing that laugh a lot. The effect is dulled a bit of course by the fact that you have unlimited continues, but I imagine it must have been a huge pain in the arcade original. Aside from that one little quirk though, Gang Wars is a great time. It's purely old school and if you're not big on that you may not dig it too much, but I am so I loved this little gem. It's fun, it's relatively short (and can be beaten in one siting - easy), and has tons of replay-ability just based on the kind of title it is. In the end, maybe the most impressive thing about Gang Wars is that it's given me a reason to fire up the old PSP again- and that's a feat in and of itself.